According to the American Thyroid Association, an estimated 20 million Americans have some form of thyroid disease. Up to 60 percent of people affected with the disease are unaware of their condition (1). These diseases affect the thyroid, a butterfly-shaped gland located in the front of your neck. This gland affects your metabolism as well as other bodily functions. One of the hormones it produces influences every cell, tissue and organ in the body. Here are the two most common diseases that can affect this tiny but mighty gland. Hyperthyroidism is a condition in which the thyroid gland is overactive and makes excessive amounts of thyroid hormone. This can be caused by low levels of iodine. Lumps and inflammation in the gland can also cause the body to produce too much of the thyroid hormones thyroxine (T4) and triiodothyronine (T3), which forces metabolism and other processes to go into overdrive (2,3). 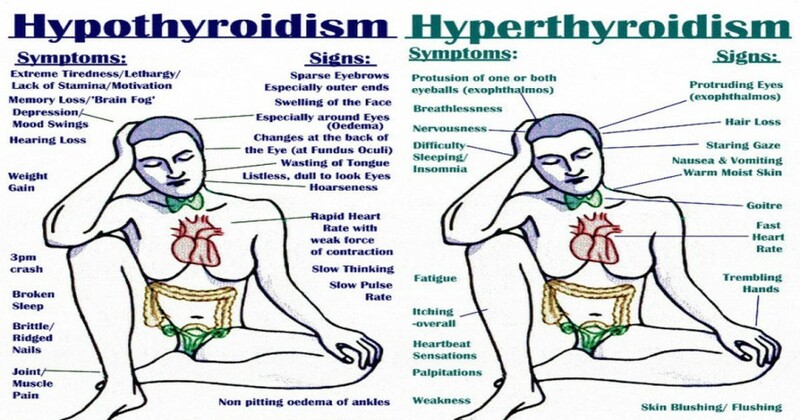 In 70% of people, the condition is caused by Graves’ disease, a condition in which the antibodies in the blood that turn on the thyroid and cause it to grow and secrete too much thyroid hormone (4). Hypothyroidism is the exact opposite of hyperthyroidism: it occurs when the gland produces too little thyroid hormone. It’s often caused by autoimmune disease, treatment for hyperthyroidism, radiation therapy, thyroid surgery and certain medications (6). Left untreated, hypothyroidism can cause obesity, joint pain, infertility and heart disease, among other health problems (7). In some rare cases, complications can result in severe life-threatening depression, heart failure, or coma. 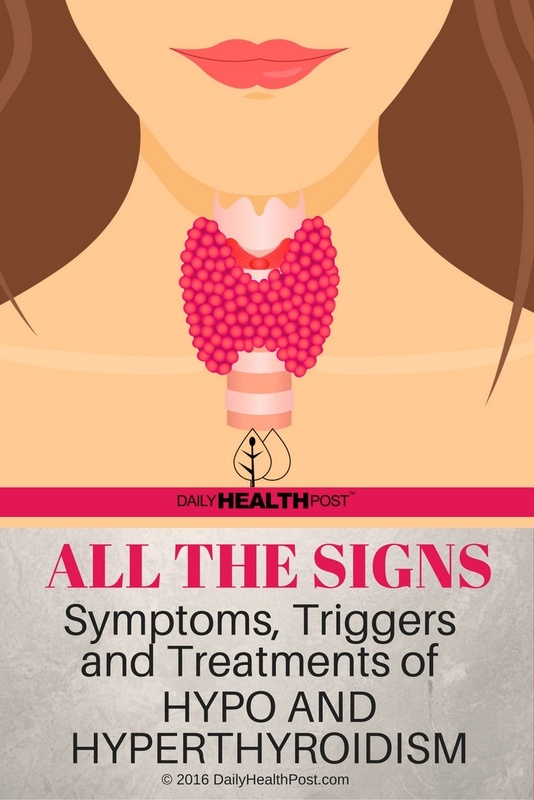 If you suffer form any of the symptoms listed above, speak to your doctor and request a blood test which determines blood thyroid hormone levels. Instead of taking thyroid-managing drugs, there are many ways that you can improve the health of your endocrine system and manage your own thyroid. Whether it’s stress, nutritional deficiencies, heavy metal overload or chronic allergies and digestive distress, it’s always best to treat your symptoms by treating the underlying cause.